Welcome back to the NA LCS, Froggen. After a year away from competitive play, Henrik “Froggen” Hansen is making his NA LCS return in 2019 as Golden Guardians starting mid laner. 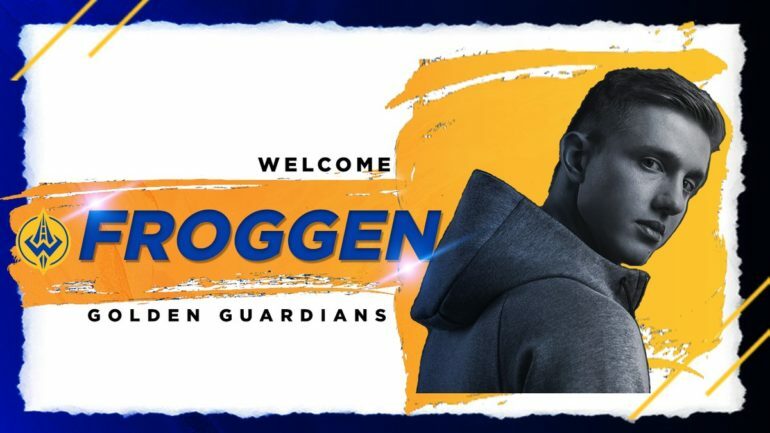 With the addition of Froggen, Golden Guardians has now completed its starting roster for the 2019 NA LCS Spring Split. Playing alongside Froggen in 2019 will be former TSM top laner Kevin “Hauntzer” Yarnell, former Team Liquid support Kim “Olleh” Joo-sung, in addition to returning Golden Guardians AD carry Matthew “Deftly” Chen and jungler Juan “Contractz” Arturo Garcia. This will be Froggen’s first time in the NA LCS since the 2017 Summer Split, when he played under the Echo Fox banner. Following his departure from Echo Fox in last year’s offseason, Froggen didn’t sign with another team, and instead spent the year streaming. In April, though, Froggen made his quasi-return to competitive play for the European Masters tournament as part of a special Origen roster, which included fan-favorite names like AD carry Konstantinos-Napoleon “FORG1VEN” Tzortziou and Lee Sin legend Choi “inSec” In-seok. Froggen and Origin won the European Masters, beating Illuminar Gaming in a 3-0 sweep. Golden Guardians’ signing of Froggen, Hauntzer, Olleh, and former Echo Fox head coach Nick “Inero” Smith this offseason comes after an extremely disappointing 2018 season. One of the new organizations accepted into the NA LCS franchising, Golden Guardians’ first year in the league was met with two back-to-back last-place finishes.